Apple’s announcement of iOS 7 presented all developers with a design challenge, but also with a chance to revisit their products and refine them. 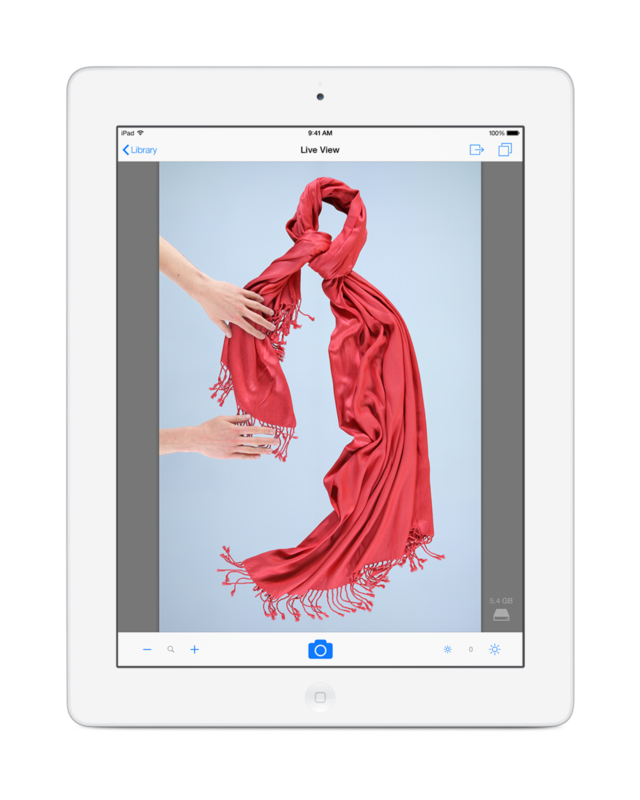 Over the past months we have been redesigning every part of the StyleShoots iPad app – not only to adhere to the sleeker and simpler style of iOS 7, but also to make sure it stayed as simple and efficient as possible. For instance, the Overlays popover in Live View now expands further so you can see more of your overlays without scrolling. And accessing the in-app demo mode now requires one tap, instead of two. Like iOS 7 itself, everything in the iPad app looks completely new, yet is instantly familiar. Although the face has changed, the workflow, buttons and features are just as easy as before. In many ways the new iOS 7 app is just like what you’re used to – but a lot better looking. Less interface, more focus on your content. Redesigning for iOS 7 was a significant step, but we’ve already got many more improvements and ideas lined up for a long time to come. The app can be downloaded for free in the App Store from any iPad running iOS 7. The app fully supports the recently announced RAW software update.